Did you know that September is National Bourbon Heritage Month? In 2007, the senate declared the month of September National Bourbon Heritage Month to honor the American made spirit. Bourbon’s legal definition varies somewhat from country to country, but many trade agreements require the name bourbon to be reserved for products made in the United States. Therefore, Bourbon truly is America’s “Native” Spirit. In honor of National Bourbon Heritage Month, Cafe ZuZu at the Hotel Valley Ho has created three new seasonal cocktails all featuring bourbon as the main component. What makes these drinks special however, is that not only do they feature bourbon, but they are barrel aged as well! All three cocktails have been barrel aged in house and will be featured throughout the month of September. 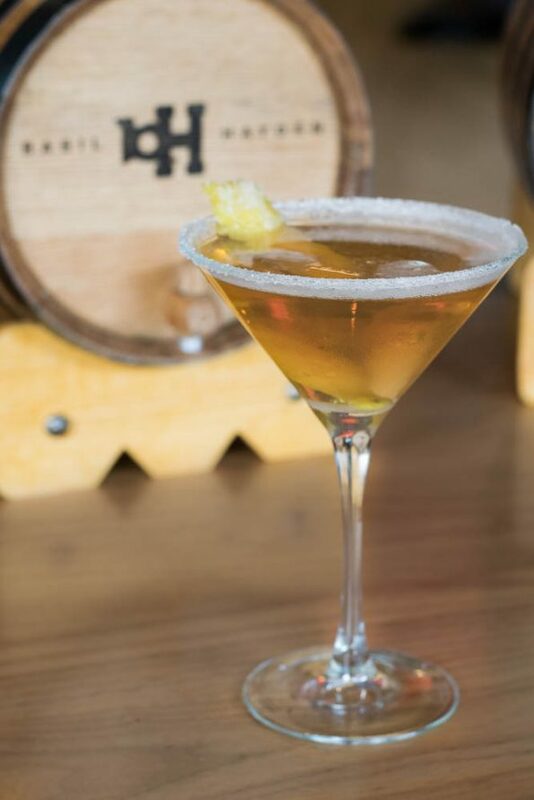 Desert Lemon Drop- Basil Hayden Bourbon, Limoncello, Ginger Liqueur, Garnished with a Candied Lemon Peel. ZuZu Manhattan- Knob Creek Rye, Sweet Vermouth, Bitters, Garnished with a Lemon Peel and Cherry. 46 Corvette- Maker’s 46 Bourbon, Martini & Rossi Bianco, Orange Bitters, Garnished with an Orange Peel and Cherry. We had a chance to get a sneak peek of these cocktails and they were fantastic! The Desert Lemon Drop is a sweeter bourbon cocktail for those who like bourbon but want it toned down with a little sweetness. That being said, don’t mistake it for a sugar bomb type cocktail. It is well balanced and was our favorite of the 3. The ZuZu Manhattan had the most barrel aged flavor of the three cocktails. This made it super unique and interesting. This is definitely the cocktail for the adventurous cocktail drinker. The 46 Corvette is reminiscent of a cross between a Boulevardier and an Old Fashioned. Perfect for the standard bourbon drinker, this cocktail is traditional with a bit of flair. 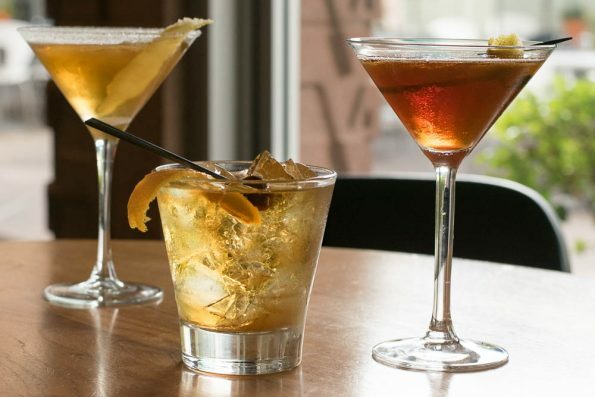 We strongly suggest heading over to Cafe ZuZu and trying out these cocktails while you can! They pair well with their Happy Hour appetizers (like the Fresh Vegetables + Chips or the Cheese Selection) as well so there is no excuse not to visit! 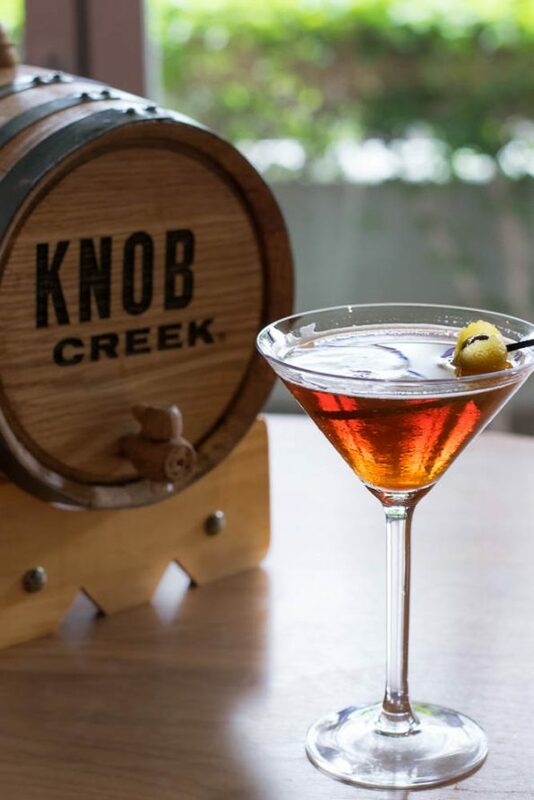 What are some of your favorite bourbon cocktails? 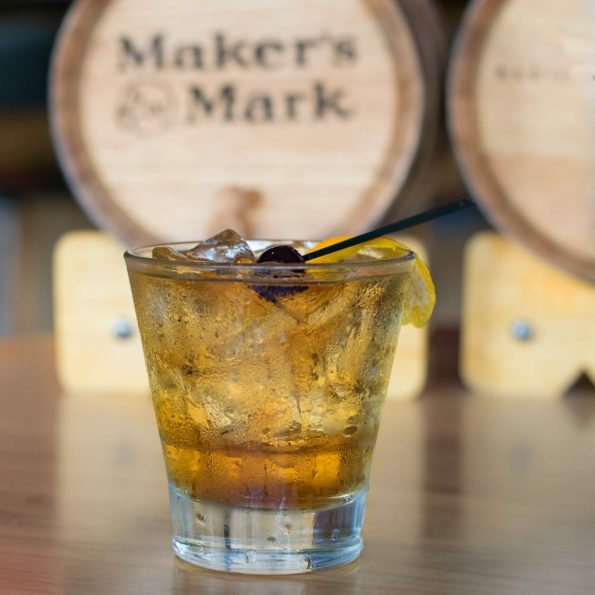 How will you celebrate Natonal Bourbon Heritage Month? We’d love to know! Leave a comment below or use the hash tag #GeekEats! *The Geeks participated in a cocktail tasting to facilitate this write-up; Information about the new cocktails was provided to us, opinions are wholly our own. View our Disclosure Policy for more info. That Desert Lemon Drop looks divine!